With Abrosoft FantaMorph, creating fantastic image morphs and warp movies has never been easier and faster! You can do everything a professional animation director does to create amazing images and animations. FantaMorph supports most image formats including BMP, JPEG, TIFF, PNG, PSD, GIF, TGA, PCX, and even professional 32-bit with alpha formats. Exporting to Image Sequence, AVI, QuickTime, Animated GIF, Flash, Screen Saver, Standalone EXE and other formats are supported. You can crop, rotate, flip, adjust color, add caption or some cool effects for the source images and the final movie, all with FantaMorph's built-in tools, without having to go to any additional software. FantaMorph takes advantage of hardware acceleration, and the rendering speed easily goes up to several hundred FPS (Frames Per Second). The high speed makes it possible to play final effects in real time without exporting to a file. The new interface with skin is cool in looks, streamlined in function, and a joy to work with! The Pro/Deluxe edition supports creating multiple morph, which makes it a breeze to create long movies with multiple source images. You can also find some advanced tools like Feature Curve, Shape Curve, Track Curve, Camera, etc. in Pro/Deluxe to create professional, gorgeous and exciting morphing effects. There're many more exciting new features. Try it today and see the magic with your own eyes! Three innovative add-ins, Face Extractor, Face Locator and Face Mixer, were added to the Deluxe edition. 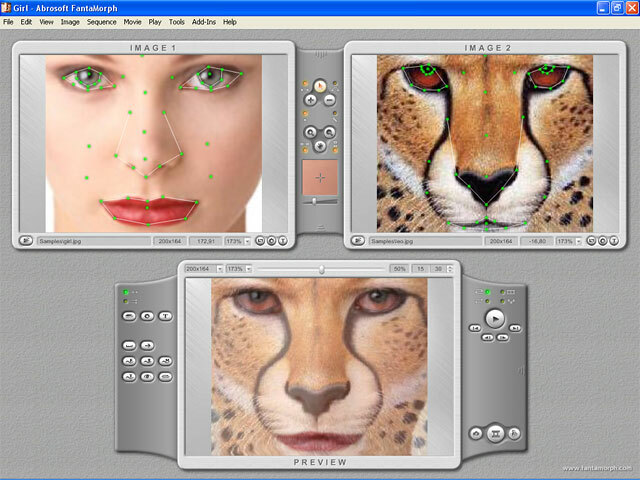 With these intelligent, powerful and novel tools, morphing faces or mixing multiple faces into one has never been easier and faster! This site does not contain serial number, crack, keygen Abrosoft FantaMorph Pro serial number : serial number is the simplest type of crack. A serial number(cdkey,product key,etc) is register the program as you may already know. a crack or keygen may contain harmful software. If you cannot find the exact version you want, just give it a try. for more information read .nfo/.txt/.diz file include in zipped file.